It's hard to overestimate the importance of the family, and that of fathers in particular. We've heard it said, "As the family goes, so goes the nation." But it can also be said that "as the father goes, so goes the family." Consequently, Voddie Baucham has set out to teach men how to faithfully shepherd their families. Derived from Baucham's monthly meetings with men in his church, Family Shepherds calls men to accountability for their God-given responsibilities in their homes. Baucham's clear style and practical approach will spur men to protect their marriage, raise kingdom-minded children, value the synergy between church and home, and navigate difficult family dynamics. 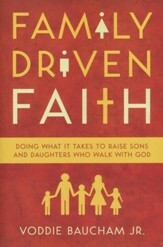 The author of Family Driven Faith equips men to model and transfer Gods truth within their homes, covering topics that span from marriage and parenting to media habits and overcoming difficult family dynamics. Voddie Baucham has captured the keys to equipping men to be a leader in their homes! 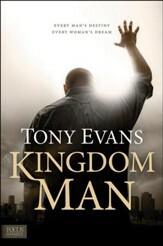 This book provides a practical, biblical view to reform a man's life to reach new heights in leading his home with the future of the kingdom in mind! I highly recommend this book to any man daring enough to step up, press in, and become the shepherd and leader of his home and to help end 'spiritual fatherlessness' in this passivity-saturated nation. Scripture gives us a clear directive to 'look well to the ways of our household.' Unfortunately, for far too many Christian households, that mandate and responsibility gets relegated to anyone or anything but the precious institution known as the family itself. In this powerfully important and timely book, Dr. Baucham challenges the church to reinstate the biblical concept of father-headship of households and to establish and implement the principles of family discipleship. As a wife and mother, I celebrate the clarion call this book offers to those who want to see real revival in the nation by understanding it begins at home. In seeking to develop gospel-driven family ministry, there's an unavoidable question that too few resources have clearly answered: How do we develop a church culture that equips and mobilizes men? In Family Shepherds, Voddie Baucham goes beyond surface-level solutions that identify biblical masculinity with everything from& watching mixed-martial arts to participating in emotionally-charged stadium events. What Voddie provides instead is a simple and straightforward biblical vision for equipping men to embrace their God-ordained roles as servant-leaders. This vision flows from Voddies commitment to articulate biblically what it means for men to shepherd their families well. 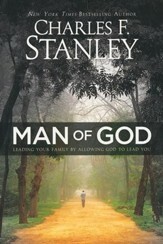 Rarely does a church see the husband and father as the key to shepherding his own family. Instead we have developed ministry expertise in the local church that seemingly no longer needs a man to step up and serve as the spiritual leader of his home. There are few mistakes more tragic than this one, and generations have suffered and will suffer if we do not call men to step up and serve as the spiritual leader. Family Shepherds is the primary tool that pastors and church leaders need to bridge that gap and to execute the building of the local church as God intended and has communicated in his Word. 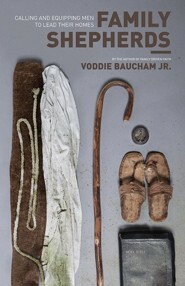 Family Shepherds: Calling and Equipping Men to Lead Their Homes by Voddie Baucham, Jr. is a thought-provoking discussion of the role of fathers and husbands. It vividly and accurately describes many of the problems facing the modern Church and traces the roots back to the failure of men to live up to their God-ordained roles. Because men are not taking responsibility for the spiritual lives of their families, the result is a generation of young Christians without a strong spiritual foundation. When it comes to practical matters, Family Shepherds shines. The author supports his conclusions every step of the way with offerings of Scripture, logical arguments, personal experiences, and the writings of renowned theologians. It's hard to disagree with his cultural diagnosis, even for those who hold to vastly different suggestions on how to deal with modern society's ailments. 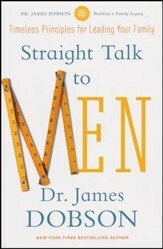 Furthermore, the book discusses a vast array of family subjects, including building a strong marriage, methods of Bible study, and how to discipline children. Because of the subject matter, Baucham spends a good deal of time discussing (and explaining in a non-offensive way) passages such as Ephesians 5:25, "Husbands, love your wives, as Christ loved the church." Though his arguments are defended with supporting verses, Baucham is writing from a Reformed perspective. Those who are more theologically Arminian may choose to skip several chapters. 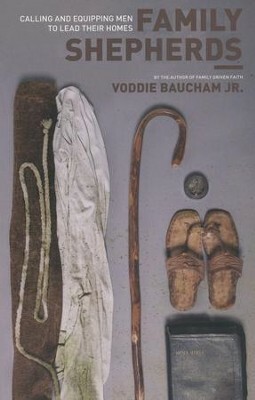 There's nothing unbiblical in the book (Baucham holds an advanced degree in theology, after all), but his views affect his writing. He has very strong opinions on child-rearing strategies and has a vehement distrust of psychologists. I'm the author/artist and I want to review Family Shepherds: Calling and Equipping Men to Lead Their Homes.